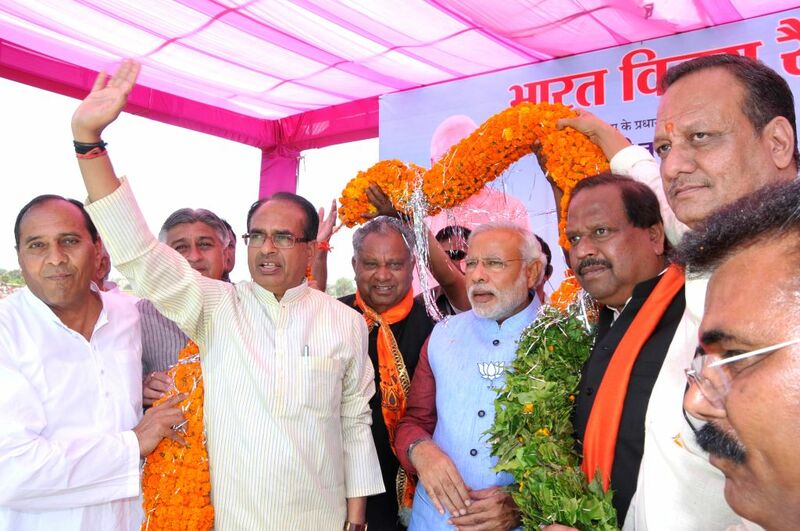 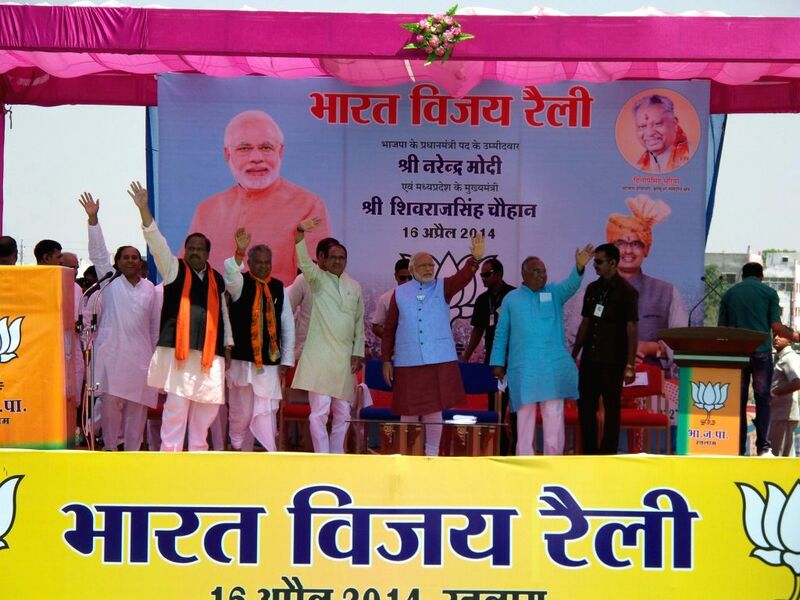 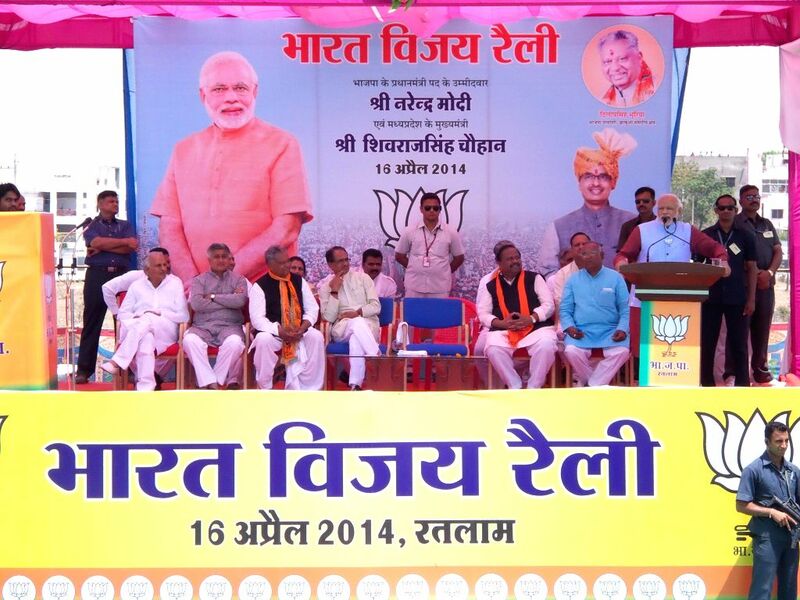 BJP Prime Ministerial candidate and Gujarat Chief Minister Narendra Modi with Madhya Pradesh Chief Minister Shivraj Singh Chouhan and others during a rally in Ratlam district of Madhaya Pradesh on April 16, 2014. 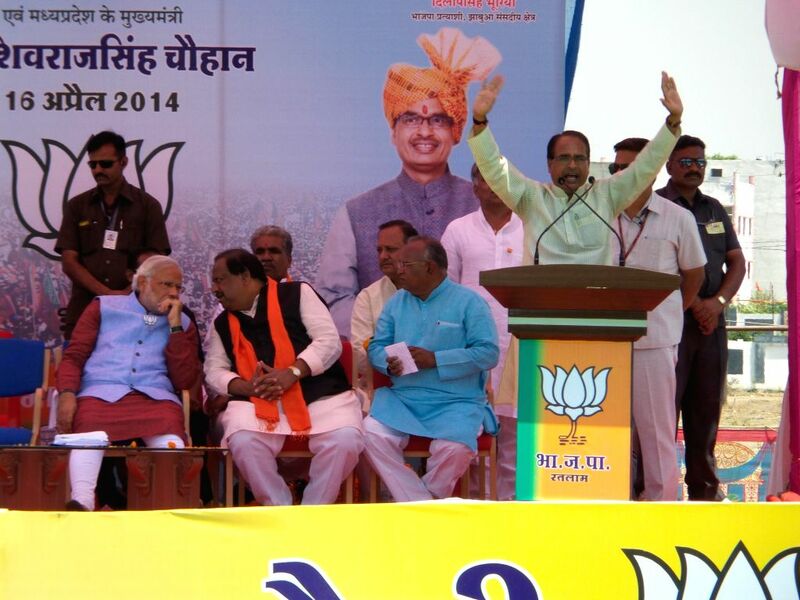 Madhya Pradesh Chief Minister Shivraj Singh Chouhan addresses a rally in Ratlam district of Madhya Pradesh on April 16, 2014. 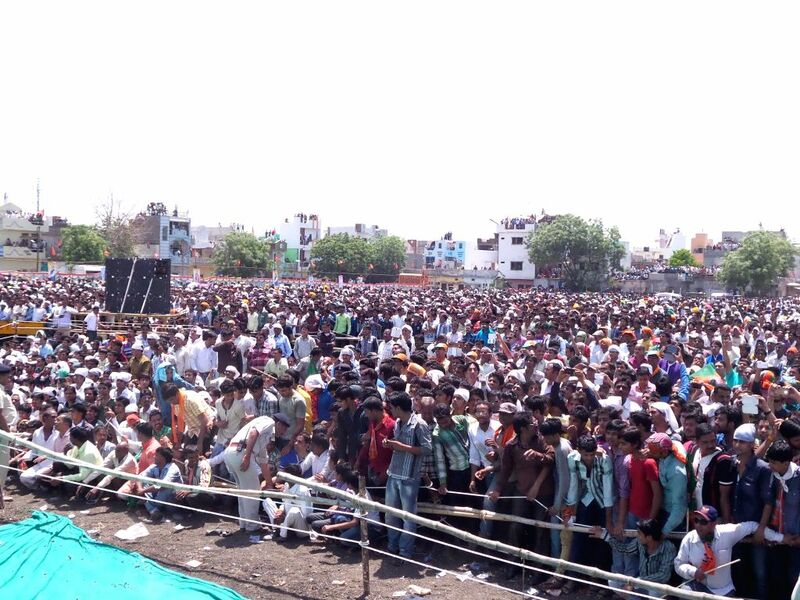 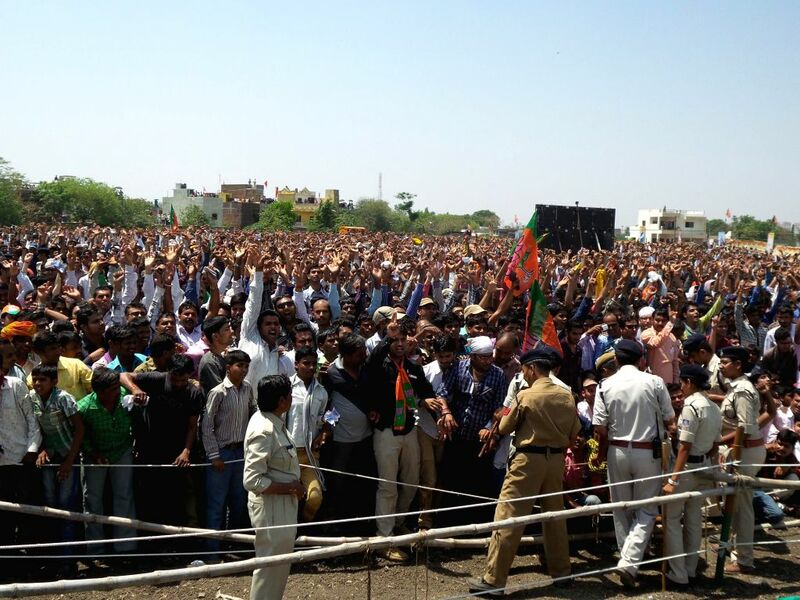 Crowd gathers at BJP Prime Ministerial candidate and Gujarat Chief Minister Narendra Modi's Rally in Ratlam district of Madhaya Pradesh on April 16, 2014. 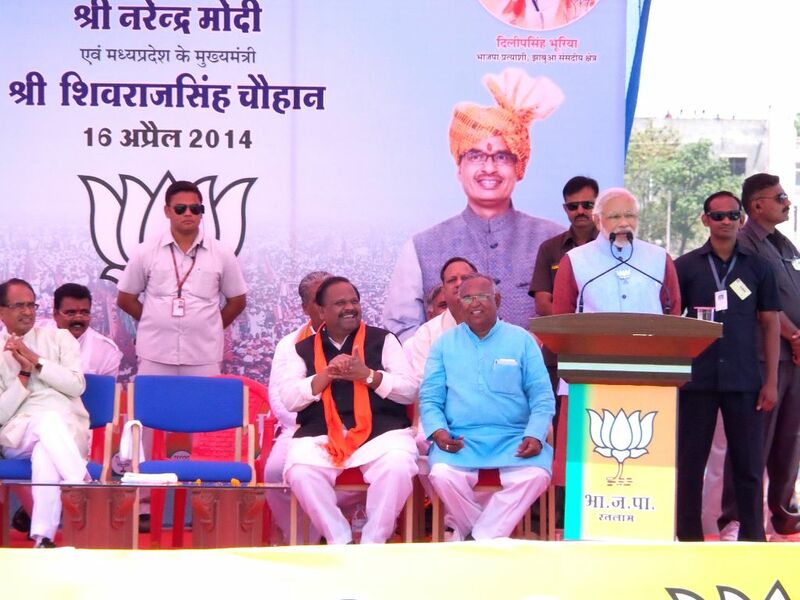 BJP Prime Ministerial candidate and Gujarat Chief Minister Narendra Modi addresses a rally in Ratlam district of Madhaya Pradesh on April 16, 2014.